In Australia, the discourse of business and government is rife with mentions to innovation, disruption and dexterity. As a result, the policy settings of government and our macroeconomic environment has seen a shift in the traditional backbone of our economy. We’ve moved from a mining-led economy to one which is increasingly driven by technology and innovation. Consider, for example, the fact that by the turn of the century there were approximately 200 million objects connected via the Internet, predominantly human-operated personal computers. However, by 2013 that number had flourished to 10 billion. Consequently, with the advancement of technology and Internet connectivity around the globe, the Internet of Things (IoT) has witnessed unprecedented growth. Hence, for high cost nations like Australia, the IoT holds enormous promise for our industries to compete globally. By definition, the IoT is a sophisticated network of objects embedded with electronic systems that enable them to collect and exchange data. Most of us are already familiar with a number of smart devices. Powerful, sensor-equipped smart phones, for instance, have brought an unprecedented level of connectivity to our daily lives. 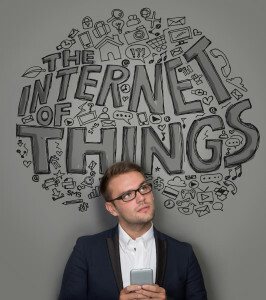 In this regard, the IoT promises to extend sensor technology to all sorts of objects, processes and industries – even those that are not usually associated with the term “smart”. Accordingly, the burgeoning of this fully connected world epitomises an exceptional prospect for innovation. In effect, the very nature of IoT is innately interrelated to innovation. Likewise, the quintessence of innovation is that it involves, research, experimentation and development. Thus, by implementing IoT in business practices, new products, novel business models, improved processes, and innovative interactions are bound to emerge. Furthermore, ground-breaking technological advances will be crucial before the IoT begins to realise its full potential. Hence, by the fundamental nature of these activities, companies engaged in any type of IoT-related innovation may qualify for significant research and development (R&D) tax benefits. To elaborate, the R&D tax incentive is available to businesses that uncover new, improved or technologically advanced products, processes or software solutions. In particular cases, it entails a 43.5% refundable tax offset to firms generating less than $20 million in annual revenue and a non-refundable 38.5% tax offset to other companies. Thus, for a company utilising breakthrough IoT technologies, the tax benefit could offer a welcomed source of funding for R&D activities. 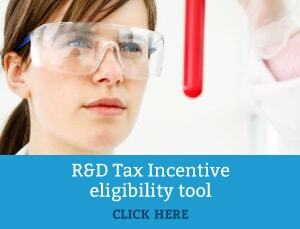 In its current form, Australia has a competitive R&D tax incentive program on a global scale, and has one of the best refundable R&D tax offsets and cash back schemes internationally. Despite this, there remains much confusion in determining what is and isn’t defined as R&D within the fast-moving technology industry. As a result, many small companies mistakenly believe they do not qualify for the incentive. Therefore, it is recommended in these cases that a company contracts the help of an R&D Tax Specialist to assist with their claim.